In this edition, we bring you news of several closures and movement at the latest addition to a Bay Area-based novelty dessert shop. 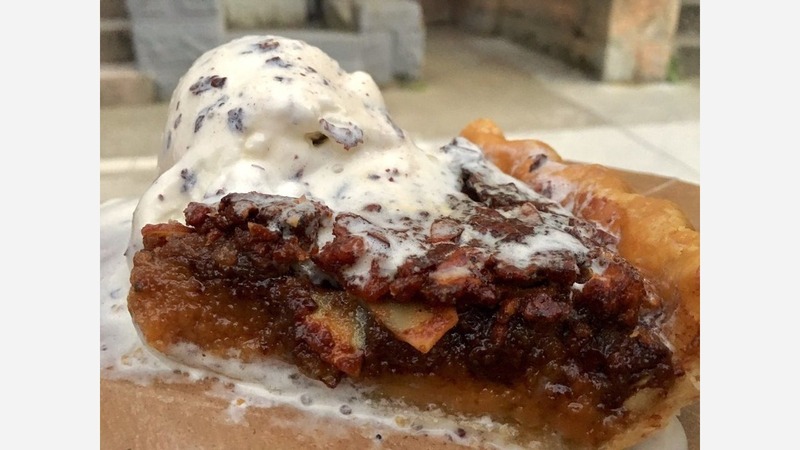 Hoodline tipster Elena K. reports that Chile Pies Baking Co.--known for its sweet pies and ice cream--has permanently closed its San Francisco location. Based on recent Yelp reviews, it appears that the shop was still open earlier this month, but there's no indication as to why the place shuttered. A visit to the business' website reveals that the Baker St. shop has been scrubbed; a message in its place thanks customers for "ten wonderful years" and encourages them to "please visit us at our Guerneville location." An email to the business was returned undeliverable due to a disabled account. A subsequent message sent via Facebook was viewed but not returned. 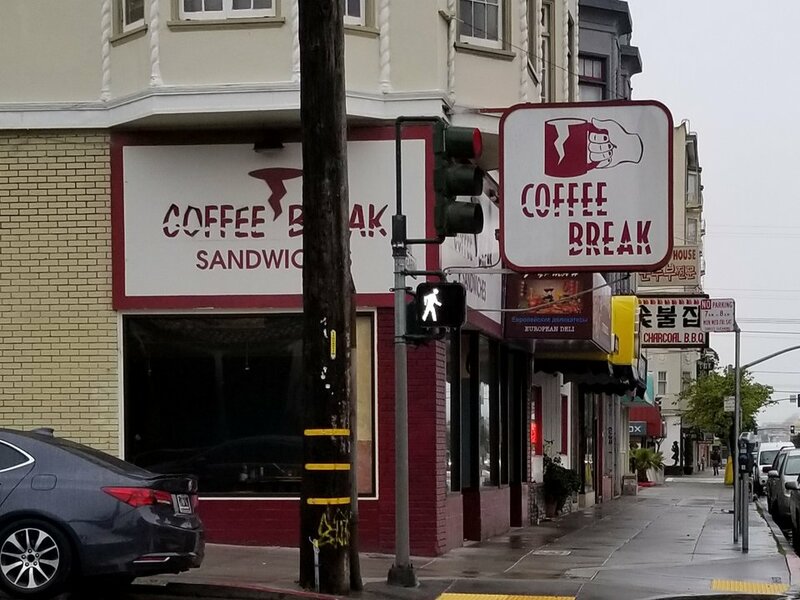 In the Inner Richmond, veteran tipster Al M. told us that Coffee Break has "shuttered for good" and renovation work has already begun inside. There's no indication of what's taking over, however, he added. In a hand-written message posted to the front door, owners thanked their customers and "loyal locals" for a decade of support. 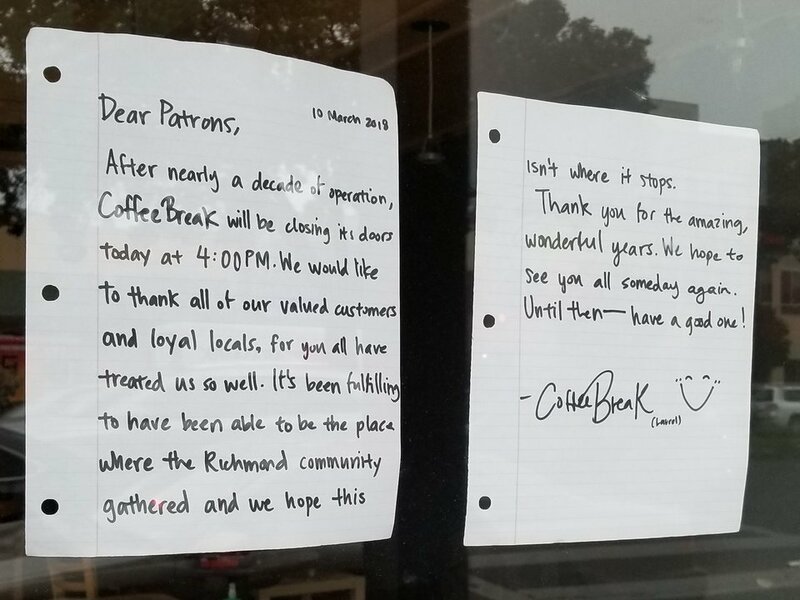 "It's been fulfilling to have been able to be the place where the Richmond community gathered and we hope this isn't where it stops," the note read. "We hope to see you all again soon--until then." Al said he'll keep an eye on the space. As we reported last month, frozen dessert chain Chocolate Chair is expanding its San Francisco footprint with five new stores throughout the city. 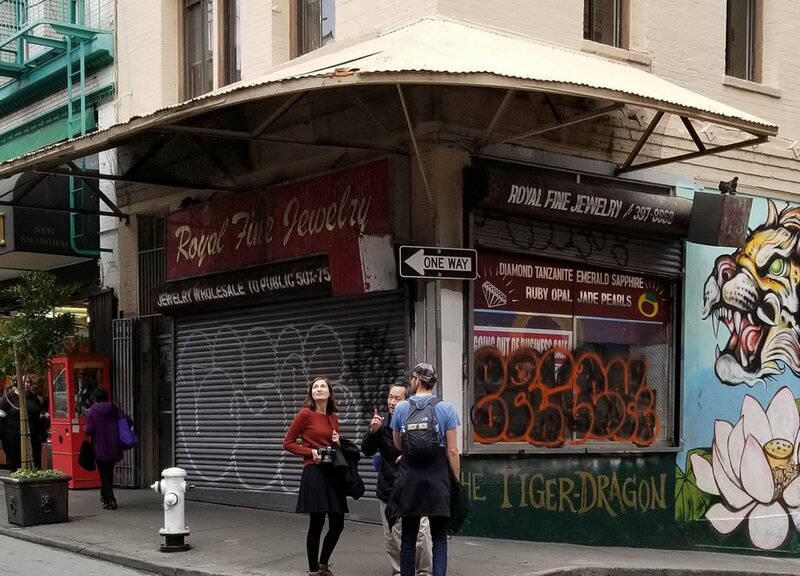 Tipster Al said that on a recent visit to the former Royal Jewelry space, he could "see movement inside." While the business' website indicates the Chinatown location is set to open last month, it's still in the early stages of development. A Castro location is currently in the works as well, and there are three other locations at Japan Center (1737 Post St.), Union Square (211 O'Farrell St.) and the Westfield San Francisco Centre. The sweet shop--founded in Santa Clara--has outposts in Southern California with another coming soon to Las Vegas, Nevada, which will mark the chain's 10th locale. 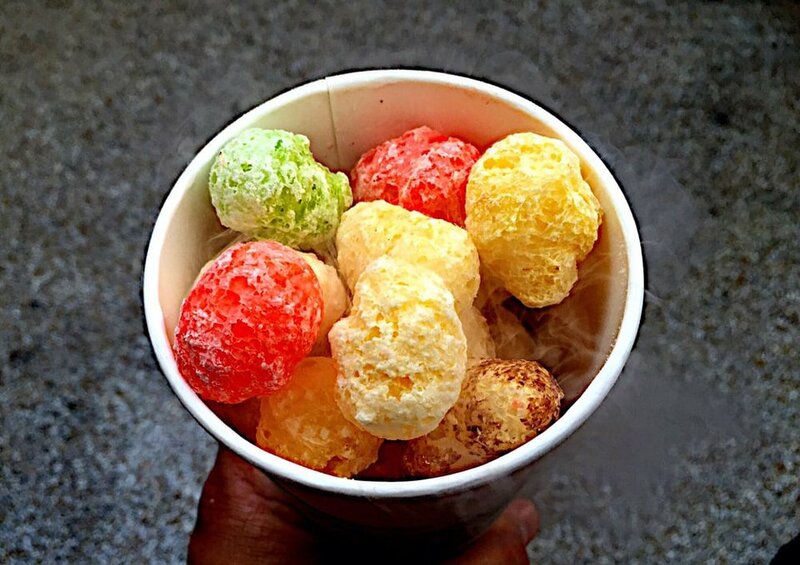 Chocolate Chair's signature dessert dish is the trademarked Dragon Breath, which consists of puffed cereal soaked in liquid nitrogen. After taking a bite, customers exhale puffs of vapor. High-fives all around to tipsters Elena K. and Al M.!